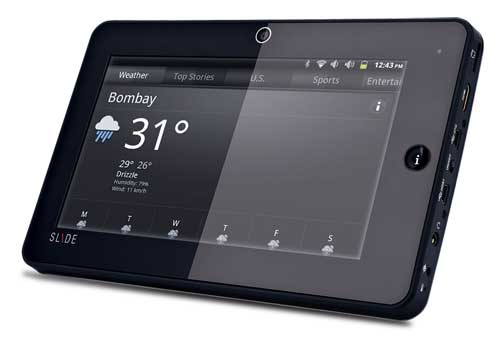 Home Budget Gadget Money Tablet PCs STUDY: Low Cost Android Tablets in India. 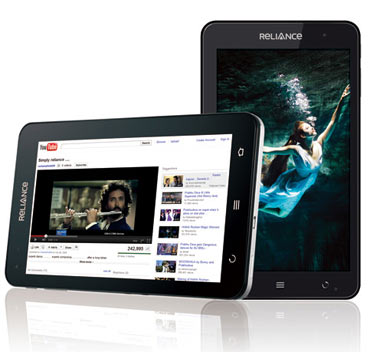 STUDY: Low Cost Android Tablets in India. Just a couple of years back no one had ever thought that tablets would become a device people could think of buying, but after the launch of Apple iPad things started making sense. Just imagine you want to read 3 - 4 different books while you are travelling and do not want to really carry them, before the tablet PCs you had two options either you carry a laptop or you carry a smartphone with pdf reader. A laptop could be really bulky and smartphone would be too small for reading for long hours. So this is where Tablets come in really handy, they are a little bit of both worlds. So is it really worth buying a tablet PC in India. Well the Indian scene is a little different from price point of view today good Tablet PCs like Apple iPad, or Samsung Galaxy Tab are available in India at a cost which is close to what you will pay for a good laptop, so it really makes not much sense to go for high end tablets. But what if you want to have a tablet which is really in your budget and is really cheap? Here is a list of low cost tablets which are either available or will be available soon in Indian markets. Before you dive into the word of tablet PCs it really important to understand what all it can do? You can read eBooks with it. You can do Social Networking. Create content i.e. Blogging, Word docs etc (Little difficult but you can do it) and more. But keep in mind its not a full grown PC and here is list of affordable tablet PCs in India. The tablets are mentioned from cheapest to most expensive. Well the name is not very Jazzy but the expectations from this tablet are really solid. Yes this is the same Tablet PC which is considered to be the cheapest in the world. Yes its going to be available for $35 to $50. The $35 version will be subsidized by the Indian Government for students and $50 will be the commercial version so the prices in India will be from 1750 to 3000. Specs summary of Aakash Tablet PCs. Soon to be launched in India by another Indian manufacturer (Lakshmi Access Communications Systems [LACS] ) and very affordable. Its UI is very good and Icons are accessible from neat categories. But the touch screen gain plays a little bit of a spoil sport. Magnum Pepper will be available in India for less than 6800 or $99 excluding taxes. Beetel Magiq is another affordable tablet PC much more powerful than Aakash and is available in the Indian markets for around 9000 i.e. close to $175 to $200. It is a very retro looking device and has a fairly powerful processor. The bad part is its resistive screen which lags in response many times. But you cannot ask for more at this price point. It has a interesting stand at the back which you can see in the below image. It also has a stylus. Camera: 2 MP at the back and VGA at the front. Reliance was the first to introduce a Tablet coupled with telecom service in India and they tried to do everything in a hurry. Make sure you read all the points below before you really decide to buy the Reliance Tab. 1. 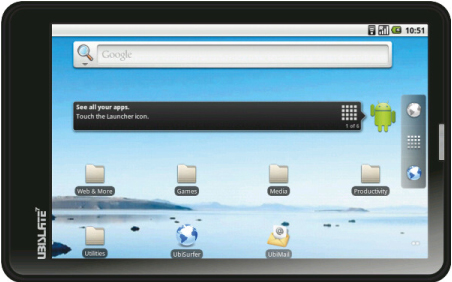 Reliance Tab is available for 12500 (i.e. hardware cost). 2. With the data plan enabled the cost goes from 17499 to 20000. 3. Another point to note over here is it is locked with Reliance Network and won't work on other networks like Airtel, Idea etc. 4. If you apple MNP then you will have to throw this tab in the dustbin. 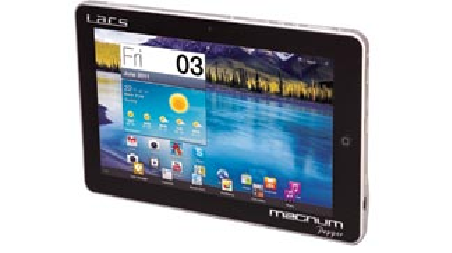 Packed with a 7" capacitive screen this Tablet has a 2.3 Android OS. The tablet looks very bulky and heavy but is surprisingly light weight, the design of the tablet is also very poor a dull back rectangular UI. The world is getting slimmer and this Tablet is very thick. The icons really do not align properly in landscape mode and viewing angle of Tablet screen is also little poor. 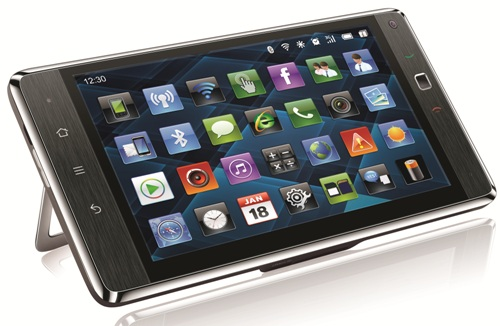 This tablet is available for 14999 most expensive in the lot, i.e. around $310. Camera: 2 MP at the front. I hope this article clears the air for you before you actually take the leap really buy a Tablet PC in India. share this if you found it useful.